The common cold, also known as a viral upper respiratory tract infection, is a contagious illness that can be caused by one of over two hundred different viruses. 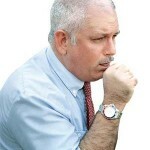 Because of the high number of viruses which can cause a cold, our bodies never learn to be resistant to them. 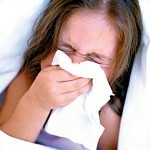 Colds can be spread through sneezing, coughing, or contact with an infected object. The good news is that there some natural methods of prevention, ways to shorten the span of a cold, and get rid of the symptoms if your already have one. For some people colds can be a health concern multiple times a year. School age children get several colds every year. Studies show that on average, preschool children have nine colds a year, those in kindergarten have twelve colds a year; and adolescents and adults, report seven colds per year. Anyone is at risk for getting a cold. However, people with a weakened immune system are more susceptible to getting a cold. The standard symptoms of a common cold are; sneezing, runny nose, cough, congestion, sore throat, fatigue, swollen lymph glands, mild fever, and loss of appetite. 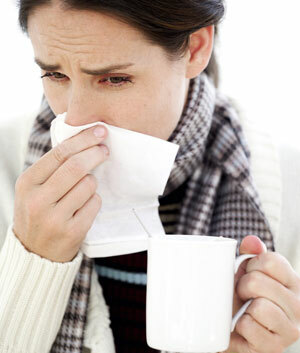 What are the Root Causes of a Cold? A compromised immune system is the number one root cause for developing a cold. This could be caused by illness, stress, a poor diet, and lifestyle factors. The common cold has many different symptoms. Symptoms such as sneezing, and a runny nose may be bothersome but are necessary for your body to eliminate mucus. Do your best to eat a healthy diet full of organic fruits, and vegetables. Eating a lot of good carbohydrates such as lentils, beans, brown rice, and squash are good choices to help keep your energy up. Throat Coat Tea– Brew as directed, and leave your tea-bag in the cup as long as possible. This tea is excellent for soothing a sore throat. I usually just leave mine in, this allows the herbs to steep really well. Sip this tea as needed. It is the best sore throat remedy I have found, and is used quite often by professional singers. Throat coat contains licorice and slippery elm which coat the throat and soothe inflammation. This tea is very sweet tasting. Olbas Pastilles Lozenges– Take as directed. These lozenges are very strong. They will calm a persistent cough, open up plugged nasal passage ways, and sooth your sore throat. Olive Leaf– Take as directed on the label. Olive leaf is a potent anti-viral, anit-bacterial, and anti-fungal supplement derived from leaves of the olive tree. If you start to feel like your are getting a cold start taking this three times a day or as directed on the label, and you won’t get sick. No medicine cabinet is complete without olive leaf. Zinc Lozenges– Take 15 mg to 25 mg as a zinc lozenge, every two hours for four days. Zinc helps to support the immune system and has some anti-viral properties. Echinacea– Take 500 mg four times a day for immune support, and antiviral effects. Reishi Mushroom– Take as directed on the label. This is a powerful immune system booster. it will also increase your energy. Vitamin C– Take 1,000 mg three to four times a day. If you experience diarrhea, reduce the dose. Vitamin C has been found to help support the immune system by promoting increasing white blood cell activity. Collodial Silver– Take as directed on the label. Colloidal silver is the best natural antibiotic.